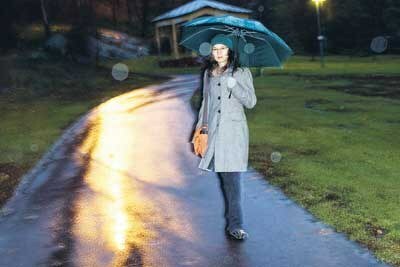 Finland goes through the darkest time of the year with the help of light. 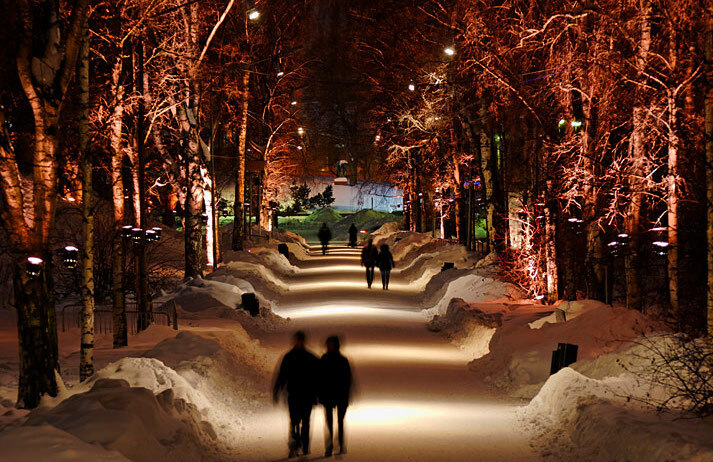 Tülay Schakir’s light artworks have done just that: livening up Finnish cities for several winters. She is a lighting designer and visual artist who has received various awards for both lighting design and visual arts. 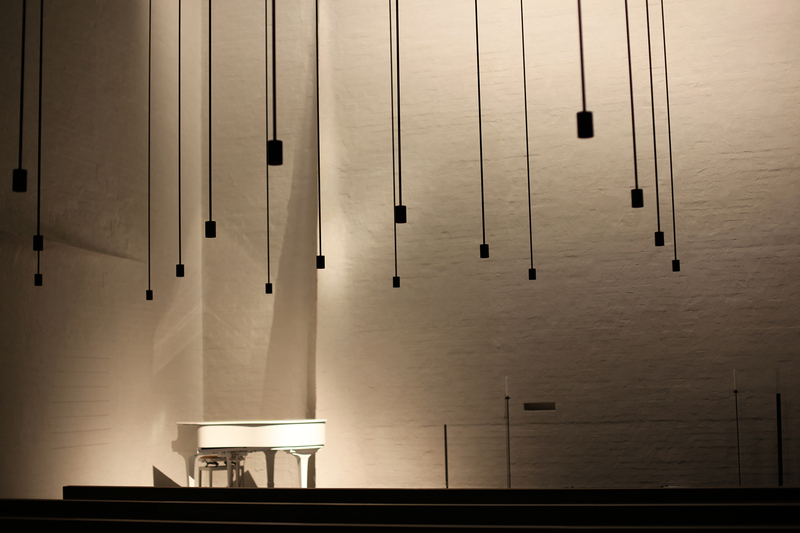 She has worked on diverse projects from stage lighting to architectural lighting and sculptures. 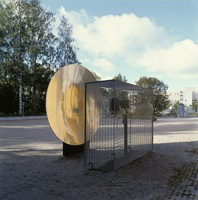 Schakir is one of the few Finnish artists who work with commissioned light artwork for residential areas. 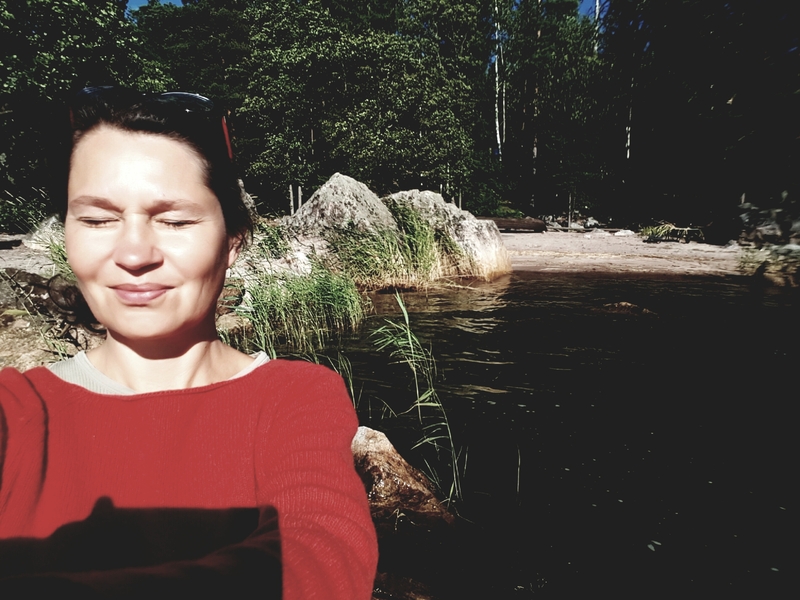 She is currently working on a built-in video installation that will project images on the floor of building yards in Kruunuvuorenranta a suburb on the outskirts of Helsinki -still under development- known as the Neighbourhood of Light. My interest in light was through traditional visual art. In art the problems are often about light because in order to form a space you need light. Natural light is all over the place but at the same time it’s transparent. In order to work with light you have to make visible what is transparent. The paradox is that to be able to work with artificial light, for instance stage lighting, you need to be in darkness, otherwise you can’t see the light. Of course it was a shock when it eventually sank in: if I want to work with stage lighting design I have to be in darkness! What’s the difference between environmental art and your light artworks? One difference is that you have to think in different ways in relationship to people and their environment. In environmental art you decorate a tree with knitted scarves and it’s always on display, day and night. In my light artwork for urban spaces you plan images that will be projected somewhere. Then it’s usually on in the mornings and in the evenings when it’s dark, in the winter that basically means when you go to work and then when you come back. It depends on the project. If it is artwork for a residential area I often have the architect’s plans in front of me because the building is not yet ready. I get ideas from the plans. I imagine what I would see or how would I feel, what do I want to emphasize or what do I want to hide. I think, jot down, draw, or write something. I let it be and then go back to it after a couple of days. But my projects take a long time to process. It’s a lot of brainwork. I do more thinking and planning than anything else. Things that interest me at some point transform themselves into a visual language. I read a lot so, for instance, an idea for a work of art can evolve from a book. When I read I see and feel things, it triggers thoughts and ideas. What work of art are you proud of? I don’t know how to answer that because I don’t like my work once I’ve finished it. When I finish something I believe it belongs to the past, I don’t want to think about it anymore. It’s a personality thing. I guess I have to get over that! What’s your own relationship to art? I have a very ambivalent relationship to art. I feel it’s my duty to do art. I think that if I don’t do what I do then who will do it? Individualization is important for you, could you explain what you mean by this? Globalization, the consumer society, the fact that we consume goods without thinking of the consequences is making us into a big mass of people that live and think in the same way. So individualization is a person’s greatest achievement, I think it should be a person’s aim in life. What we have to offer in life is ourselves. Different roads and alternatives are what we have and we can choose them. If I have to simplify it art is a way to show ourselves as individuals. What other career would you have pursued? That’s very different from your career as an artist, isn’t it? No, not at all! It’s about the world, life and how human beings relate to that. I don’t think it’s that different; on the contrary, it’s very similar!